Ellagic acid is an antioxidant and an anti-proliferative compound present in fruits, nuts and vegetables. In spite of evidences for anticancer activity in various cancer cell-lines, human cancer cells, the mechanistic role of ellagic acid is not conclusive enough to be recommended for a clinical use. The present review provides information about the chemopreventive role of ellagic acid in oral cancer and proposes molecular basis for ellagic acid’s inhibitory activity against oral cancer. We show that ellagic acid modulates growth of tumor cells through regulation of multiple cell signaling pathways including cell proliferation pathway (cyclin dependent kinase 2, cyclin A2, cyclin B1, cyclin D1, c-myc, PKCα), cell survival/apoptosis pathway (Bcl-XL, Bax, Caspase 9/3, Akt), tumor suppressor pathway (p53, p21), inflaming Metastasis pathways (IL-1 beta, TNF-α, matrix metalloproteinases 9/3, COX-2), angiogenesis pathways (VEGF), cell immortalization (TERT), NF-κβ. Ellagic acid is found in oaks species like the North American white oak (Quercus alba) and European red oak (Quercus robur). The macrophyte Myriophyllum spicatum produces ellagic acid. Ellagic acid can be found in the medicinal mushroom Phellinus linteus. The highest levels of ellagic acid are found in blackberries, cranberries, pecans, pomegranates, raspberries, strawberries, walnuts,wolfberries, and grapes. It is also found in peach and other plant foods. Research in cell cultures and laboratory animals has found that ellagic acid may slow the growth of some tumors caused by certain carcinogens. While this is promising, at this time there is no reliable evidence available from human clinical studies showing that ellagic acid can prevent or treat cancer. Further research is needed to determine what benefits it may have. Ellagic acid seems to have some anti-cancer properties. It can act as an anti-oxidant, and has been found to cause cell death in cancer cells in the laboratory. In other laboratory studies, ellagic acid seems to reduce the effect of estrogen in promoting growth of breast cancer cells in tissue cultures. There are also reports that it may help the liver to break down or remove some cancer-causing substances from the blood. Some supporters have claimed these results mean that ellagic acid can prevent or treat cancer in humans. This has not been proven. Unfortunately, many substances that show promise against cancer in laboratory and animal studies are not found to be useful in people. Ellagic acid has also been said to reduce heart disease, birth defects, liver problems, and to promote wound healing. The highest levels of ellagic acid are found in raspberries, strawberries, and pomegranates, especially when they are freeze-dried. Extracts from red raspberry leaves or seeds, pomegranates, or other sources are said to contain high levels of ellagic acid and are available as dietary supplements in capsule, powder, or liquid form. The best dose of these preparations is not known. 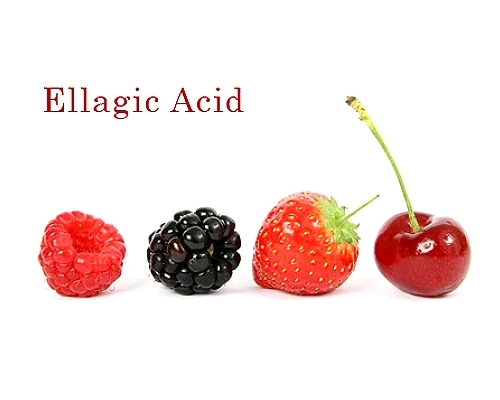 Ellagic acid was studied in the 1960s mainly for its effects on blood clotting. Early published research on ellagic acid and cancer first appeared in the 1970s and 1980s. With the publication of several small laboratory studies in the mid-1990s, ellagic acid began to be promoted on the Internet and elsewhere as a means of preventing and treating cancer. Almost all studies conducted on ellagic acid to date have been done in cell cultures or laboratory animals. Several animal studies have found that ellagic acid can inhibit the growth of tumors of the skin, esophagus, and lung, as well as other tumors caused by carcinogens. Other studies have also found positive effects. A recent study in cell cultures found that ellagic acid may act against substances that help tumors to form new blood vessels. Further studies are needed to determine whether these results apply to humans. In the only study reported thus far in humans, Italian researchers found that ellagic acid seemed to reduce the side effects of chemotherapy in men with advanced prostate cancer, although it did not slow disease progression or improve survival. The researchers cautioned that more research would be needed to confirm these results. The interaction between phytochemicals like ellagic acid and the other compounds in foods is not well understood, but it is unlikely that any single compound offers the best protection against cancer. A balanced diet that includes 5 or more servings a day of fruits and vegetables along with foods from a variety of other plant sources such as nuts, seeds, whole grain cereals, and beans is likely to be more effective in reducing cancer risk than eating one particular food, such as raspberries, in large amounts. However, some studies suggest that foods high in ellagic acid might be useful additions to a balanced diet. For example, one nonrandomized clinical study of men with prostate cancer reported that pomegranate juice slowed the increase in blood levels of prostate-specific antigen, a substance that is routinely measured to estimate growth of prostate cancer. This product is sold as a dietary supplement in the United States. Unlike drugs (which must be tested before being allowed to be sold), the companies that make supplements are not required to prove to the Food and Drug Administration that their supplements are safe or effective, as long as they don’t claim the supplements can prevent, treat, or cure any specific disease. Eating berries or other natural sources of ellagic acid is generally considered safe. These foods should be part of a balanced diet that includes several servings of fruits and vegetables each day. Ellagic acid is available in supplement form. Some reports indicate it may affect certain enzymes in the liver, which could alter the way in which some drugs are absorbed. For this reason, people taking medicines or other dietary supplements should talk with their doctors or pharmacists about all their medicines and supplements before taking ellagic acid. The raspberry leaf, or preparations made from it, should be used with caution during pregnancy because it may initiate labor. Relying on this type of treatment alone and avoiding or delaying conventional medical care for cancer, may have serious health consequences. These properties have generated interest in potential human health benefits from the consumption of ellagic acid. However, very little study of these proposed benefits has been reported as of 2010. A small randomized controlled trial involving 19 patients with carotid artery stenosis found that pomegranate juice, which is high in ellagic acid, appeared to reduce blood pressure and carotid artery wall thickness. A 2005 controlled study of 48 patients undergoing chemotherapy for prostate cancer found that ellagic acid supplementation reduced the rate of chemotherapy-associated neutropenia (though there were no cases of severe neutropenia in either the ellagic acid or control group). Ellagic acid supplementation did not improve overall or progression-free survival of patients with prostate cancer in this trial. Despite the very preliminary state of evidence supporting health benefits in humans, ellagic acid has been marketed as a dietary supplement with a range of claimed benefits against cancer, heart disease, and other medical problems. Ellagic acid has been identified by the U.S. Food and Drug Administration as a “Fake Cancer Cure Consumers Should Avoid”. A number of U.S.-based sellers of dietary supplements have received Warning Letters from the Food and Drug Administration for promoting ellagic acid with claims that violate the Federal Food, Drug, and Cosmetic Act. Urolithins, such as urolithin A, are microflora human metabolites of dietary ellagic acid derivatives that are under study as anti-cancer agents. Oral cancer develops by complex interplay between intrinsic and extrinsic factors playing important role in tumor development from primary lesion. The process of expression of tumorigenesis is based on a tightly controlled sequence of events which are dependent on the proper levels of transcription and translation of certain genes. There is a small subset that seems to be particularly important in the prevention, development, and progression of cancer. Over the last 30 years there has been a great deal of information accumulated in the literature concerning the carcinogenic process. It has been established that disruption of the delicate balance between cell growth and programmed cell death (apoptosis) in favor of the former by inhibiting or slowing down the latter, results in tumor formation. There are two apoptotic pathways: a) the so called “stress pathway” or intrinsic pathway which is initiated by profound damage to the DNA by either chemotherapy and/or radiation; and b) the extrinsic pathway which is initiated by binding of specific cytokines released by cells to their so called “death receptors” expressed on cancer cells also following heavy damage of the DNA. The binding of cytokines to their death receptors exposed on the cancer cells will result in programmed cell death. Both apoptotic pathways meet at the caspase level. Caspases are enzymes that initiate and perform apoptosis. There are several big differences between apoptosis in cancer cells and normal cells. A normal cell has a very efficient base excision repair system and any damage to DNA is immediately and efficiently repaired. By definition, a normal cell with irreparable DNA/mutations must undergo apoptosis because of activation of p53 through the intrinsic pathway. Some cells with mutations do not die because they are resistant to apoptosis. These cells become cancer cells. Most of the time, the apoptotic process is inhibited from inside the cell by the inhibitors of apoptosis (IAPs). Normal cells do not have any inhibitors of apoptosis. Casein kinase 2 (CK2) is a kinase that is important for cell proliferation and is over-expressed in all types of cancer studied thus far. There is an overwhelming amount of data gathered in the literature demonstrating that CK2 is over-expressed in tumor cells and is involved in the apoptosis-resistance phenotype of most malignant cells. The emerging hypothesis is that high concentrations of CK2 generate a cellular environment that is favorable to both the establishment and the development of the tumor phenotype. CK2 is localized in the cytoplasm of normal cells. However, in cancer cells, CK2 is also localized in the nucleus and is deregulated, being elevated 3- to 7- fold. The up-regulation and hyperactivity of CK2 in the nucleus has an anti-apoptotic effect and is correlated with aggressive tumor behavior in a multitude of different cancer cell types examined. 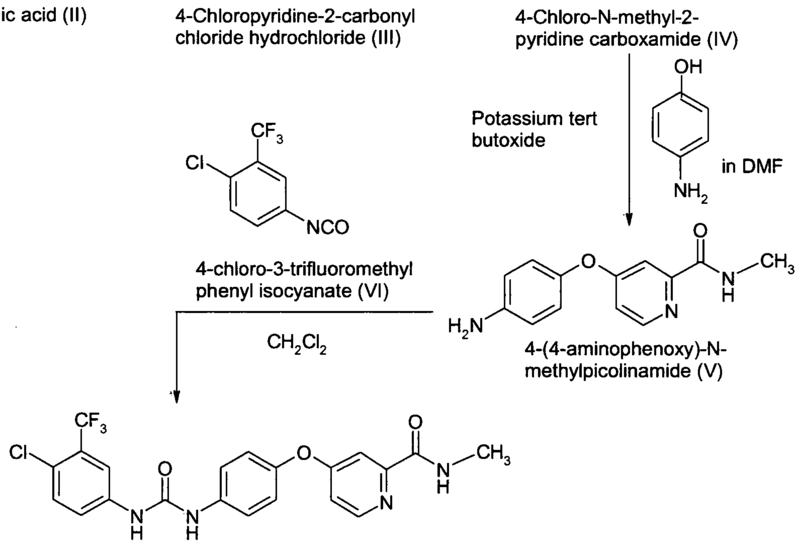 Ellagic acid (abundant in pomegranate and red and black raspberries) has been identified as a very potent CK2 inhibitor. The Ki of ellagic acid for CK2 is 20 nM. It has been shown that ellagic acid alone will kill several cancer cell lines through the apoptotic process. Ellagic acid is found naturally in pomegranate and raspberries and is transformed into urolithins that remains in plasma for a longer time. There are a multitude of publications demonstrating that casein kinase 2 maintains a high concentration of IAPs inside the cancer cells. In contrast, a simple inhibitor of casein kinase 2 will induce cell death through apoptosis in all cancer cells studied thus far, without affecting any other normal cell/tissue. We determined the content of ellagic acid and derivatives inMeeker Red Raspberry powder and in the Black Raspberry Seed powder. Ellagic acid and its derivatives from the two samples were first separated by high pressure liquid chromatography (HPLC) prior or after acid hydrolysis. It is noteworthy that acid hydrolysis of each powder releases several urolithins which were identified according to their molecular mass. The separated components were identified by mass spectrometry. Each peak was quantified and compared to a standard made of serial dilutions of purified ellagic acid. Under the conditions employed we have determined that the Meeker Red raspberry contains 0.128 ± 0.005 mg of pure ellagic acid per gram of powder, while the Black Raspberry Seed contains 0.38 ± 0.024 mg of pure ellagic acid per gram of powder. Following acid hydrolysis (2 hrs in 2N HCl, 50% MeOH at 95°C) we have determined that the Meeker Red raspberry powdercontains 23.7 ± 8.32 mg of ellagic acid and derivatives per gram of powder while the Black Raspberry Seed powder contains 41 ± 2.1 mg of ellagic acid and derivatives per gram of powder. The powders are usually dispensed orally with a scoop, provided within the container. The scoop contains 19 grams of powder. Under these conditions, two scoops of Meeker Red raspberry powder or of Black Raspberry Seed powder taken orally (and as a consequence subjected to acid hydrolysis in the stomach), will release approximately 1.1 gr and 1.6 gr respectively of ellagic acid and derivatives. In order to maintain a constant amount of ellagic acid and urolithins in the blood stream this procedure should be repeated daily or at least every other day. David S. Seigler Plant Secondary Metabolism. Springer, 1998. Larrosa, M; González-Sarrías, A; García-Conesa, MT; Tomás-Barberán, FA; Espín, JC (2006). “Urolithins, ellagic acid-derived metabolites produced by human colonic microflora, exhibit estrogenic and antiestrogenic activities”. Journal of agricultural and food chemistry 54 (5): 1611–20. doi:10.1021/jf0527403. PMID 16506809. Grasser, Georg (1922). Synthetic Tannins. F. G. A. Enna.ISBN 9781406773019. Nierenstein, M (1915). 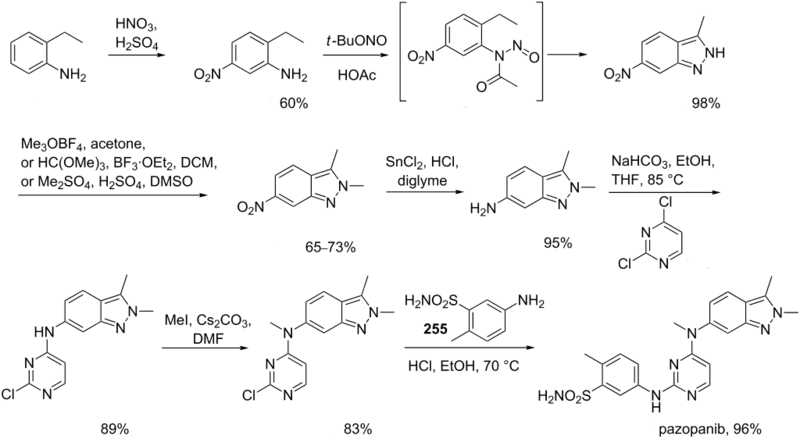 “The Formation of Ellagic Acid from Galloyl-Glycine by Penicillium”. The Biochemical journal 9 (2): 240–4. PMC 1258574.PMID 16742368. Mämmelä, Pirjo; Savolainen, Heikki; Lindroos, Lasse; Kangas, Juhani; Vartiainen, Terttu (2000). “Analysis of oak tannins by liquid chromatography-electrospray ionisation mass spectrometry”. Journal of Chromatography A 891 (1): 75–83. doi:10.1016/S0021-9673(00)00624-5. PMID 10999626. Nakai, S (2000). “Myriophyllum spicatum-released allelopathic polyphenols inhibiting growth of blue-green algae Microcystis aeruginosa”. Water Research 34 (11): 3026.doi:10.1016/S0043-1354(00)00039-7. Lee YS, Kang YH, Jung JY et al. (October 2008). 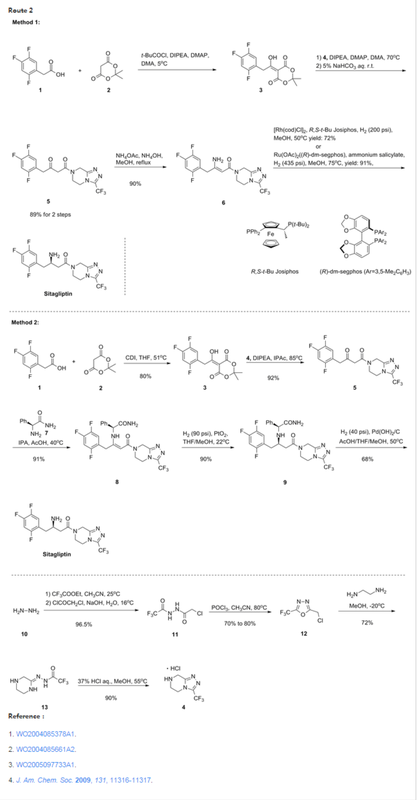 “Protein glycation inhibitors from the fruiting body of Phellinus linteus“ (). Biological & Pharmaceutical Bulletin 31(10): 1968–72. doi:10.1248/bpb.31.1968. PMID 18827365. D. A. Vattem and K. Shetty (2005). “Biological Function of Ellagic Acid: A Review”.Journal of Food Biochemistry 29 (3): 234–266. doi:10.1111/j.1745-4514.2005.00031.x. Seeram NP, Adams LS, Henning SM et al. (June 2005). “In vitro antiproliferative, apoptotic and antioxidant activities of punicalagin, ellagic acid and a total pomegranate tannin extract are enhanced in combination with other polyphenols as found in pomegranate juice”. J. Nutr. Biochem. 16 (6): 360–7.doi:10.1016/j.jnutbio.2005.01.006. PMID 15936648. Narayanan BA, Geoffroy O, Willingham MC, Re GG, Nixon DW (March 1999).“p53/p21(WAF1/CIP1) expression and its possible role in G1 arrest and apoptosis in ellagic acid treated cancer cells”. Cancer Lett. 136 (2): 215–21. doi:10.1016/S0304-3835(98)00323-1. PMID 10355751. Madal, Shivappurkar, Galati, and Stoner (1988). “Inhibition of N-nitrosobenzymethylamine metabolism and DNA binding in cultured rat esophagus by ellagic acid”. Carcinogenesis 9 (7): 1313–1316. doi:10.1093/carcin/9.7.1313.PMID 3383347. Mandal and Stoner; Stoner, GD (1990). “Inhibition of N-nitrosobenzymethylamine-induced esophageal tumorigenesis in rats by ellagic acid”. Carcinogenesis 11 (1): 55–61.doi:10.1093/carcin/11.1.55. PMID 2295128. Teel, Babcock, Dixit, and Stoner (1986). “Ellagic acid toxicity and interaction with benzo[a]pyrene and benzo[a]pyrene 7,8-dihydrodiol in human bronchial epithelial cells”.Cell Biol. Toxicol. 2 (1): 53–62. doi:10.1007/BF00117707. PMID 3267445. Aviram M, Rosenblat M, Gaitini D et al. (June 2004). “Pomegranate juice consumption for 3 years by patients with carotid artery stenosis reduces common carotid intima-media thickness, blood pressure and LDL oxidation”. Clin Nutr 23 (3): 423–33.doi:10.1016/j.clnu.2003.10.002. PMID 15158307. Falsaperla M, Morgia G, Tartarone A, Ardito R, Romano G (April 2005). “Support ellagic acid therapy in patients with hormone refractory prostate cancer (HRPC) on standard chemotherapy using vinorelbine and estramustine phosphate”. Eur. Urol. 47 (4): 449–54; discussion 454–5. doi:10.1016/j.eururo.2004.12.001. PMID 15774240. 187 Fake Cancer ‘Cures’ Consumers Should Avoid, from the U.S. Food and Drug Administration. Accessed June 17 2008. Warning Letter sent to Millennium Health by the United States Food and Drug Administration, dated May 21, 2008. Warning Letter sent to Kenton Campbell at Prime Health Direct, Ltd. by the United States Food and Drug Administration dated July 2, 2007. A Food-Based Approach to the Prevention of Gastrointestinal Tract Cancers – video lecture dedicated mainly to ellagic acid. Read by Dr. Gary D. Stoner from the Ohio State University Comprehensive Cancer Center. Ferlay J, Shin HR, Bray F, Forman D, Mathers C et al. (2008) Cancer Incidence and Mortality Worldwide: IARC Cancer Base No. 10. 2. Wake M (1993) The urban/rural divide in head and neck cancer–the effect of atmospheric pollution. Clin Otolaryngol Allied Sci 18: 298-302. 3. Massano J, Regateiro FS, Januario G, Ferreira A (2006) Oral squamous cell carcinoma: Review of prognostic and predictive factors. Oral Surg Oral Med Oral Pathol Oral Radiol Endod 102: 67-76. 4. Hanahan D, Weinberg RA (2000) The hallmarks of cancer. Cell 100: 57-70. 5. Mantovani A (2009) Cancer: Inflaming metastasis. Nature 457: 36-37. By DR ANTHONY MELVIN CRASTO Ph.D in cancer on April 4, 2014 .